So i got my package from Frosty today! Here is a pic of the pop tarts and koolaid! yum yum yum! 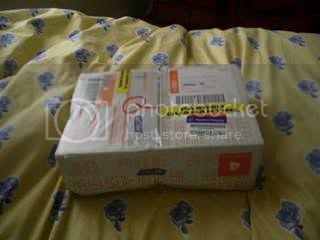 I got my package from Psyche yesterday! Everything together: cutecutecute fabric, heaps of Kool-Aid, Peanut butter cups , more candy, postcards, notepads, ribbon (you can never have too much ribbon! 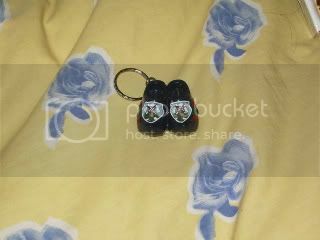 ), really cool beads, and a thimble with the cutest little maple leaf on it! Ohhhh those are pretty beads!! i got a package in the mail today! it was the first time i have had to sign for a package before so i was excited! it had been searched by quarantine! oooh! delicious snacks! these remind me of my childhood, when my oma used to give me these delicious things! rembrandt is my favourite artist, and trillian included a book on the rembrandt house museum! 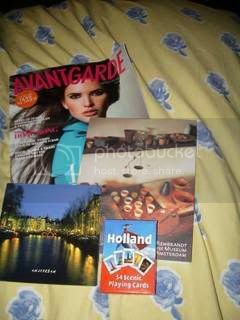 with some palying cards, a postcard and a glossy fashion magazine! last but not least a cute set of mini clogs with beautiful windmill detail! this was a fantastic first swap and i feel like i have been spoiled a lot! thank you trillian! Those mini clogs are so cute! Lol we have some of those toast sprinkles in the kitchen..
o wow, trillian did really spoil you, and very dutch things indeed! 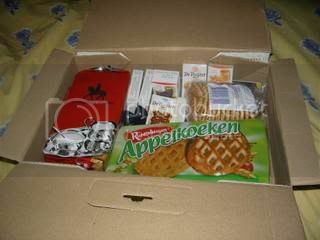 Did you tried the speculaas, stroopwafels and appelkoeken yet? ooh! 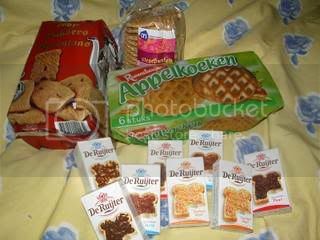 i love seeing all the yummy stuff from other countries! 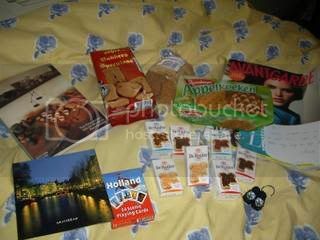 i havent tried the speculaas, (but i used to have them when i was little) the stroopwafels are so so sweet, like toffee in wafers! and the applekoeken are spiced and delicious!